We build professional Association websites that recognize and respond to your business. The challenge of association website design is that the target audience is very clearly defined, and this means that the narrative of the design needs to be focused and relevant. Associations don’t target one person – they communicate with whole companies and groups, and represent a specific interest or niche. Despite a common interest, Associations often have to tailor their website content to please a wide range of interests. For example, a non-profit website design needs to demonstrate the purpose of the charitable organization, while being able to handle monetary donations and volunteer applications. 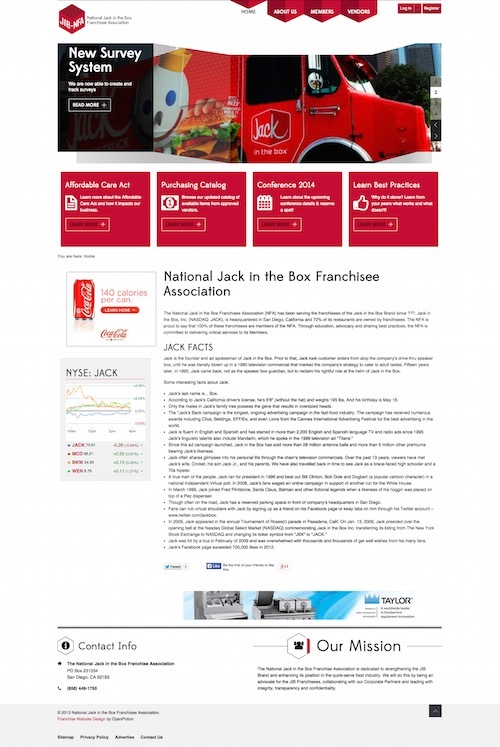 A franchising website will need to strengthen the brand and provide a login portal for vendors, while providing access to constantly updating information and downloadable content. Building an associations website is not a simple case of putting words and pictures on a page; it involves planning and laying down a roadmap towards specific processes and goals.